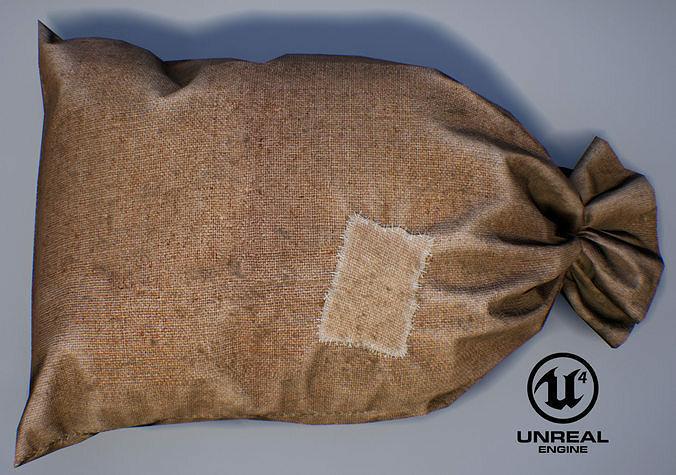 Realistic old Bag from burlap model. All textures biased on PBR shaders. Resolution: 4096px in .png format. You can downscale the textures from 4K to 2K, 1024, 512 px resolution. Files units are centimeters and are accurately scaled to represent real-life object's dimensions. Previews rendered in UE4 and Marmoset. The scene with render settings is not included.